including activation of relationship with elemental and ancestral energies of Earth and Sky. It is through right relationship we come into harmonic resonance with the All That Is. Each aspect of earth and sky shall respond to us when we enter right relationship. The mysteries are unfolding. They are ready to speak to us, with us, through us, if we are ready for them. In this program we are assisting in the activation of creative forces working to restore the matrix of heaven on earth. Thus, this body of work is designed to bring us to, and requires us to enter into, our highest and clearest intention and integrity. Come if you feel ready, come if you feel called. JOIN US IN THIS SPECTACULAR SERVICE for humanity and evolution of this gracious planet. This program is constantly evolving, as the Living Energies of Earth and Sky interact with us and guide us into ever greater understanding, access and living relationship with the CareTakers and Wisdom Keepers of this work. If you are not familiar with information on this program, we highly recommend you take time to read this thoroughly. This is a special relationship we are being asked to engage in with the living consciousness of various elements of Earth and Sky. As we have entered these relationships through the last decades, the living beings of Earth and Sky have responded in truly magical and remarkable ways. We are being asked, at this time, to renew, reawaken, and reinvigorate ancient living relations with Earth and Sky, just as the ancients and living indigenous peoples of the world have always done. This re-awakening is serving to create a deep alignment for all humanity, to lift and shift the vibrational field for all sentient beings, to serve the greater cosmos. The specific program content may seem unclear in places. We will not reveal some practices until we are in place, with group, in order to insure the integrity of the practices. Yet, the Keepers of this Wisdom respond to our interaction with them, and constantly call us to refine the practices offered in relation to how we are engaging with them. Each and every action we partake in, directly impacts this practice. We are calling upon those with the highest interest, the highest passion, the highest calling, the highest integrity, to come, and enter into these practices with us, to generate true and unique awakening, which we each shall viscerally know and feel. This next body of information comes from prior years' in this practice. The prior work is the foundation for this years practice. We have not offered this practice for 2 years. The Wisdom Keepers who direct this work, continue to engage us, to evolve the work, to integrate those practices which wil best serve us, individually, and collectively, for all humanity. Other practices, additional wisdom, continues to arise from this, and be built directly into this work. We recommend you read this foundational information fully. It takes time. We wish to insure you have a foundation of understanding of what this work is about, and insure you wish to fully participate. Our notes on the foundation of the work is followed with updates, and articles, relating to the work as it unfolds each year. 3 Lakes, and 3 Mountains, compose a living vortices of primal earth & celestial energies manifesting perfect union of the principals of the Divine Feminine and Masculine, in New England. Such perfect geometries exist world wide. Yet, they are rare, and unique. 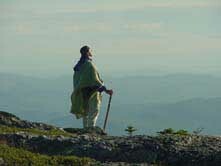 This 'field of intelligence,' created and generated by this living relationship of primary energies, sustains a thriving vital interrelationship between worlds, between heaven and earth, a sacred union, which, when we engage in living and right relationship, interacts with us in ways, thus far, beyond many of our imaginations. We hold a responsibility as caretakers of each of these sacred sites, to enter and maintain right relationship with these living forces of Creation. 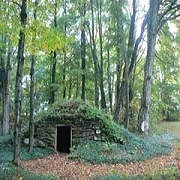 Sacred sites, sacred earth energy currents, sacred Earth geometries, exist right here in our own lands. It is not necessary to travel to far distant lands to experience the invigorating and life transforming experiences we often seek in other cultures and times. And, we have a responsibility to engage, to enliven, to witness, and to build these living relationships with the living consciousnesses of the vital, elemental, and ancestral beings of this realm of the Earth, where we live. The Elders of many cultures tell us the Awakening of Humanity can only occur when we are in living, vital relationship with the consciousness of the Earth, her Elements, Ancestral Keepers, and others. 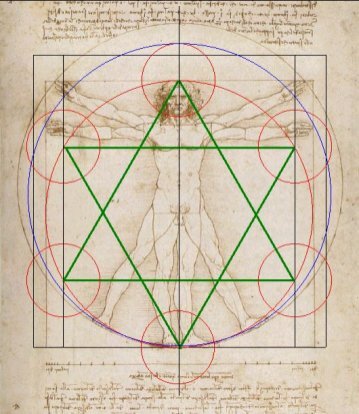 They are engaging in, and have engaged with us, in ceremony to assist in the re-awakening, and re-alignment of the Earth's sacred energies and vital living networks, often called 'the grids' of the Earth, including the Ancestral Grid, 'the Christgrid', and other similar names. They have specifically asked Zacciah to continue this awakening and activation of Right Relationship with the Earth and her many cherished Keepers. This next, in this series of programs, is steeped in deep personal ritual and ceremony to tap into our own awakening, and assist us to bring forward a True Awakening within this world. Our 2011 program, is bringing even more specific clarity and purpose to this aspect of the work. The intentional use of our highest vibrational states of being, to bring forward the awakening for all of humanity, in service to this great Mother Earth, and the greater cosmos, and All That Is. In this practice, we shall enter sacred relationship with the Ancestral Keepers of these holy lakes and mountains, and much terrain near and between them. This shall include the active consciousness of the Lakes and Mountains themselves, viewed in many cultures as living beings, as well as other elemental energies, and living Ancestors within the subtle realms of being. We shall have the opportunity to enter into, and practice right relationship within aspects of our own higher consciousness, while moving into deeper relationship with the living consciousness of the Earth, via these primordial beings who anchor vital living energies here within the Earth. We shall seek permission to work cohesively with them as we bridge into conscious co-creational roles within the Earth and Heavens and their Keepers. We shall call upon creational powers of the ancient luminaries and the ancestral beings of this region to assist us. In earlier practices, a sacred vessel, a 'City of Light,' has appeared to those of us working with this sacred landscape, in preparation for this greater body of work, with incredible potential to heal, infuse blessings, offer life altering experiences & alliances, and create opportunities for service of the greater good at this incredibly vital time of collective transformation. The "Cities of Light" are Gateways into other dimensional consciousness, other states of being, with Luminous Beings of the holy realms of Creation making their presence and Wisdom available to us. They are spoken of in many cultures, in many sacred regions of the world. We can only imagine what awaits us, this year, as we enter into the Greater Collective with those of us attending this potent offering. What has happened, is the fundamental forces of creation, as manifest on Earth, are beginning to rise and speak with us in more fluid and mysterious ways. We have opened a gateway into an eternal city of light, which gives access to incredible spiritual beings which now guide and enthuse this work. We are in alignment with the process of the Great Awakening which is occurring planetarily. We are being asked to be collaborative co-creators in the process of claiming our place here, as awakened beings, standing in our spiritual authenticity, power, dignity, and integrity. As we step into this place, we are empowered and aligned with the forces of creation, and asked to further its light, its harmony, and resonance here, on this great Earth. We are asked to seed the matrix of heaven here, to assist in this pre-destined awakening. Other aspects of the intelligent energies arising are of the earth realms. Indigenous cultures of the world recognize all things as living and conscious. When recognized as such, they awaken to living relations to those who authentically honor them as such. We teach practices to assist in this process, of personal alignment, awakening, and entering into living relations with the living beings of the Earth realms. In the process of these practices, some of those who have awoken to us include living currents of energy which may appear, among their forms, as Dragon Beings. Though it may seem contradictory as something positive to the 'western mind,' this is in direct line with Eastern and Western mysticism. The Dragons in Taoist philosophy represent, literally, the fundamental forces of elemental nature (the elements of air, fire, water, earth, ether.) Those forces which comprise, and govern, all of living and manifest creation. In Western mysticism, the dragons were early forces of nature which oversaw creation, guarded sacred treasures, and so forth. They were allies to the heroes. It became the role of early Christian mystics and bishops to eradicate the evidence of the 'dragons' from the landscape, which incorporated the indigenous spirituality of the earlier peoples of Europe, then the rest of the world. Wrapped into this eradication was the worship of the feminine forces of Earth, Nature, and Creation. 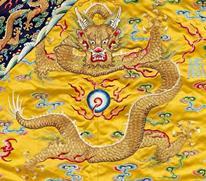 The dragon, the serpent, was the living energies of the feminine nature. The 'dragonslayers' became epic heroes of Western Society. Little did we know that we were praising those who put to rest our understanding and embracing of the role of the Divine Feminine, in our Earth, and in our lives. We re-awaken this relationship in ever growing terms; and, now enter it, in balance, and sacred union, with the Divine Masculine aspects of consciousness. In Western Europe, to this day, the living currents of energy, which snake through the countryside, often connecting ancient, primordial, and later Christian sites (wells, springs, groves, hills, standing stones, circles, cairns, fugoues, and more) in serpentine forms, are called "Dragon Lines." The Chinese speak to the "Dragon Points" as those special places of union of the Divine Masculine and Feminine forces of nature, places where streams merge, springs arising where southerly facing ridges unite (at least 3 places where we engage in this work), and often site temples upon the strengthening energies where these energy currents meet, rise, or descend into the Earth. We shall enter ancient stone chambers amply sited, in sacred ceremony, learning the secrets of entering right relationship with the living Wisdom Keepers, Ancestral Beings of the StarNations whom built these temples, to ask their permission, and enter sacred ceremony, with them present, to guide and open us to the incredible mysteries contained within the stones themselves, and the living vortices which open when touched in holy ways. What has, and does occur, in these stone temples, is beyond our scope to fill in during this discourse. But, let us simply say, for those of us using these ancient and sacred temples in right relation with the ancient keepers of them, doorways to the ancient mysteries have opened, and continue to open, to many whom have come. Many feel these are among the most meaningful experiences of their lives, often awakening memory of ancient knowing, from times past, of similar work in the many ancient temples of the Earth. One of our beautiful participants in our last practice share with us, in earnest, each day, that 'this is the most beautiful day of my life!' Literally, for him, each day built upon the last, to become the most rich and meaningful experience he has had in his life. The practices, the sites, the living energies, and holy beings, touch us in such ways. We have just spent 17 days in most powerful ancient sites, as well as most remarkable natural power sites, of Egypt, including the deserts, which enrich this work, here, even more. And, we come from practices in the mountains, lakes, rivers, glens, forests, and fields, beaches and oceans, of France and the Magdalene mysteries, Italy and the Dolomites, Switzerland and the Alps, as well as Germany and Austria, where the living relations with the special energies and beings of each region, confirm, and multiply the nature of these practices, and the wisdom and understanding that come with them. We are in a time of great awakening. And it is time we do our part, to come into authentic alignment and awakening within ourself, but, also, to assist and integrate that awakening in rhythm with the heart of life, with the Earth, and the Cosmos, as they guide us to reawaken and rekindle our right and meaningful living relations with every aspect of Earth and Sky. Geometric templates of the Divine Union of Heaven and Earth compose all life forms, as all life arises in harmony to the Divine Proportions. 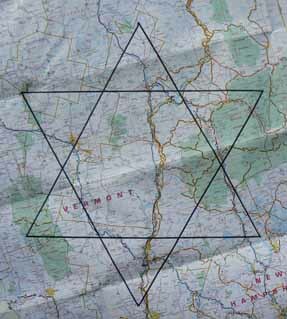 New England has a unique landscape composed of 3 major mountains and lakes forming a nearly perfect Star Tetrahedron, the geometric representation of the Divine Union of All Life, the Sri Yantra, Shiva and Shakti, the flower of life, underlying all of creation. This same relationship is perceived within the human form, and critical to activation of one's complete, unified light body, which some say is critical, also, to our continued evolution through major earth changes. We shall work with the natural elements of Earth and Sky, with the Ancestral Spirit Keepers of Sacred Sites, with the living Consciousness of Lakes and Mountains, and the ancient Medicine Tribes of the region. We shall enter sacred relation, activate deeper awareness, journey in ancient stone temples, literally bathe in sacred streams and waters, and initiate deeper understanding of the sacred nature of who we are, and how we live in right relationship to the Earth. Establishing right relationship with the Earth is paramount to our coming into our power as Co-creators with all elements of Earth and Sky. By entering right relationship, we have the opportunity to activate deeper understanding of the living Vortices of Light dwelling upon the Earth. Through the Sacred Geometries we work with, we are given the opportunity to engage in very powerful work as healers and Co-Creators. If chosen, we may be given the opportunity, also, to enter into, or receive the blessings, of the Holy Ones which dwell in the Temples of the Earth and Sky, a City of Light, above this region. Few know, and fewer have spoken about this Divine Relationship. It exists in powerful vortices around the world. This vortex composes an important part of the Universal Grid of Consciousness of Earth and Sky, some call the Christ Grid. Once entered in right relationship, the Wisdom Keepers of this City of Light have potent messages to share, and energies to bequeath all of us, for use upon this Earth at this important time of great transformation. Part of our responsibility as Co-Creators is to share our wealth and blessings with the World. We shall enter ceremonies to share these blessings, through the waters of the region, for all those yet to come, all those yet to be born into the light of sacred consciousness. We invite you, in a sacred way, to enter this portal with us, to bathe in this sacred journey, and light revealed. Many have been waiting to join us in these programs. Those of us doing the preparatory work for this program have found the initiatory experiences far beyond all imagined expectations. There is a potential for self realization, and world service, which goes far beyond the common spiritual practice or journey. We invite those of you who feeled called to this work, to join us. § No hike; chamber close to road. Prepared Field Lunch from local cafe, eat at site or rest area in Ottauquechee River Valley. LionsGate Ceremonies, invoking and anchoring the telluric energies currents of Sky to Earth, working specifically with the StarBeings driving the practice. Our experience with these beings has been one of extraordinary enrichment and blessings from the highest realms of Creation. Final blessings of the Waters and Ancestral Ones for participants of the group. All Meals are provided. We will be eating in quality restaurants and cafes. Please notify us of any dietary restrictions well before the start of the program. Bring snacks/refreshments you may need between meals outlined. Bring plenty of water daily. We will make sure you have ample opportunities to purchase water in stores, or bring your own bottles to refill in motels, gas stations, etc, or in some cases, natural springs. You may wish to bring a drum, rattle, camera, notepad, pack, sunscreen, bug repellant, lots of water, snacks, sacred objects, tobacco, a journal, a small portion dried or picked flowers, food, nuts, grains, or other special offering items used to make gift offerings to the spirits of each place we visit; also, backpack, satchel, or something to carry any of these items in, including water, etc for the trip. You may find a hiking staff useful, the sliding/foldup type are best for our purposes with limited luggage. We will have at least 2-4 opportunities to be in water, at least 1-2 of those are part of our working conditions for this trip. Please bring a swimsuit and towel. We ask you to bring no more than one large suitcase and a hiking size backpack, to insure maximum room efficiency on this tour. If you need additional space, PLEASE NOTIFY us. Please insure we have your emergency numbers,full address and phone and email contacts, etc. for you. Please provide your cell number if you have one...this may be useful the entire trip! 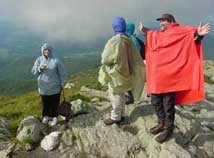 Special care should be noted for those attending this program of the conditions generally outlined for hikes. 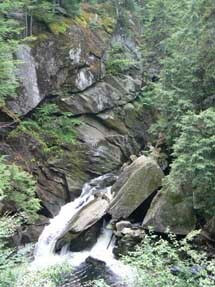 While these are considered moderate hikes, at worst, by experienced hikers, those not used to wilderness terrain trails may find some hikes challenging and even intimidating. 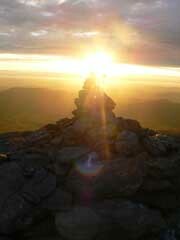 We have never had an accident, or had a hiker not complete a trail in our years of wilderness experience. Yet, we require you to take full personal responsibility for your health and well being during this expedition. This includes the signing of our waiver, for inclusion in this trip. 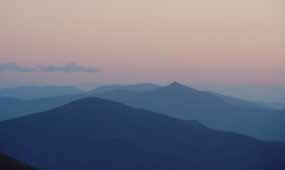 Mts Ascutney, Mansfield, & Washington are accessed through toll roads which take us near the summits, so there is not nearly as much climbing as would be necessary from the foot of these mountains. Silver Lake is an optional 30 min moderate climb on forest service road, after 10-15 min hike on same road to Llana Falls. Calendar I is a significant 1/4 mi. hike up steep forest road, followed by an add'l 20 min hike. All hikes are on well maintained wilderness trails or old forest roads, and described in itinerary above, or in logistical information. These are not considered difficult hikes. But, those who do not have regular outdoor activities, may find some hikes strenuous. We STRONGLY advise interested participants to take stock of their actual hiking abilities, and consult with their physician over any medical concerns, and pre-existing conditions. We advise capacity to hike easily for 1 hr in mountainous and/or natural/wilderness terrain (all maintained trails) in order to consider participation. Registration is only open to people who have done at least 10 days of work with Zacciah in the past. If you have not, please email us or call us - admin@sunreed.com - 802.674.9585. We will get you a form to fill out to apply for the program. please email us admin@sunreed.com, and we will set up payment. Please do not email us any secure credit card information. 10:15 AM - 4:30 PM EST.